The California Ocean Protection Council (OPC) is hiring a Senior Environmental Scientist to help lead its Marine Protected Area (MPA) Program. The OPC is a state entity that works to: (1) coordinate activities among ocean-related state agencies to improve the effectiveness of state efforts to protect ocean resources; 2) establish policies to coordinate the collection and sharing of scientific data related to coastal and ocean resources between agencies; 3) identify and recommend changes in state and federal law and policy to the Governor and the Legislature; and 4) allocate and execute delegated bond funds and other designated funds in a manner that is transparent and in line with OPC’s priorities. The Senior Environmental Scientist will be responsible for leading aspects of OPC’s MPA management program including outreach and education, research and monitoring, compliance and enforcement, and policy and permitting, in collaboration with OPC’s other MPA program staff and external partners. The Senior Environmental Scientist will also direct funding efforts focused on marine protected areas in coordination with OPC staff, state agencies, local governments, scientists, non-profits, and other constituents. The position involves grant and contract management including developing grant/contract content, tracking deliverables, processing invoices, and coordinating with grantees. The Senior Environmental Scientist will also provide additional organizational support and capacity, as needed. Applicants should have a strong working knowledge of coastal and ocean issues and stakeholders in California, experience working on projects and/or research related to MPAs in California or elsewhere, and excellent written and verbal communication skills. The ability to work in a fast-paced environment and prioritize tasks is a must. Experience with public relations, such leading communications campaigns and/or drafting content for memos, newsletters, press releases, websites, or social media posts is a plus. The position is located in Sacramento, California. The California Ocean Protection Council (OPC) is hiring two Environmental Scientists to support its programmatic priorities. The OPC is a state entity that works to: (1) coordinate activities among ocean-related state agencies to improve the effectiveness of state efforts to protect ocean resources; 2) establish policies to coordinate the collection and sharing of scientific data related to coastal and ocean resources between agencies; 3) identify and recommend changes in state and federal law and policy to the Governor and the Legislature; and 4) allocate and execute delegated bond funds and other designated funds in a manner that is transparent and in line with OPC’s priorities. 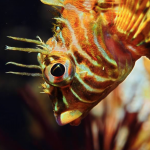 The Environmental Scientists will support policy and funding efforts for OPC’s priority programs focused on marine protected areas, sustainable fisheries, climate change, marine pollution, and sustainable ocean economy, in coordination with OPC staff, state agencies, local governments, scientists, non-profits, and other constituents. The Environmental Scientists will also be responsible for grant and contract management including developing grant/contract content, tracking deliverables, processing invoices, and coordinating with grantees. The Environmental Scientists may also provide additional organizational support and capacity, as needed. Applicants should have a strong working knowledge of coastal and ocean issues and stakeholders in California, experience working on projects and/or research that address OPC’s priorities listed above, and excellent written and verbal communication skills. The ability to work in a fast-paced environment and prioritize tasks is a must. Experience with public relations, such leading communications campaigns and/or drafting content for memos, newsletters, press releases, websites, or social media posts is a plus. The position is located in Sacramento, California. Applicants interested in the Environmental Scientist positions should to apply to both links listed above. The Dungeness Crab Task Force Executive Committee will hold a public conference call on Wednesday, August 29, 2018 at 12:30 pm to provide updates on topics directly impacting the Dungeness crab fishery, begin brainstorming on high priority topics as outlined in the DCTF’s 2018-19 work plan, and identify priority topics for the next DCTF meeting. The public comment period is open from Monday, August 13 through Friday, September 14, 2018. Click here to download the draft Award Guidelines. Two informational webinars will be held for OPC staff to share an overview of the Award Guidelines and provide an opportunity for members of the public to ask questions and provide input. To register for a webinar and to learn more information about the Once-Through Cooling Interim Mitigation Program, click here. On July 24th, Secretary Laird wrote The Honorable Paul Ryan and The Honorable Nancy Pelosi to express concern regarding two pieces of pending federal legislation that would make broad changes to long established federal laws protecting the marine environment from the effects of oil and gas exploration and development. Read the letter here. Please download the draft here. Advancing the effort to add California’s marine protected area network to the International Union for Conservation of Nature (IUCN) Green List, IUCN has selected members of the “Expert Assessment Group for the Green List” (EAGL). Drawn from a pool of extremely qualified applicants, these 17 individuals represent California ocean stakeholders from a diverse array of sectors including: ecology, sociology, economics, and management; outreach and education; ocean business and tourism; California’s Tribes and Tribal Governments; commercial and recreational fishermen; citizen scientists; aquaria; and non-governmental organizations. Green List criteria benchmark good governance, sound design and planning, effective management, and successful conservation outcomes The assessment group will hold evaluation meetings and site visits to assess how California’s MPA network meets IUCN’s Green List criteria, and will recommend that the network be added to the Green List if all criteria are met. The initial evaluation process is anticipated to be completed by early 2019. California has developed a novel and cost-effective marine protected area (MPA) monitoring program to aid in the evaluation of the MPA network’s progress toward meeting the goals of the Marine Life Protection Act. Phase 1 of this program collected regional baseline data at or near the time California’s MPAs were established. Phase 2 focuses on long-term statewide monitoring. Beginning in 2016, funding for Phase 2 long-term monitoring has maintained or expanded the geographic scope of data collection in select ecosystems, maintained the capacity of CDFW to collect data through equipment upgrades, expanded science-management collaborations, and supported the development of the new California Open Data Portal (https://data.cnra.ca.gov/). Moving forward, long-term monitoring will be guided by the MPA Monitoring Action Plan. This Action Plan, which is anticipated to be completed in Fall 2018, identifies priority metrics, habitats, sites, and species for long-term monitoring. Please submit comments to R7MPA@wildlife.ca.gov by August 16, 2018. Thank you for your time and your continued involvement with California’s Marine Protected Area network. 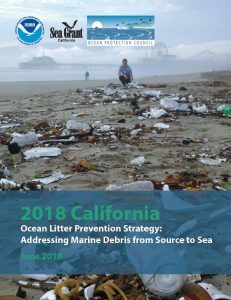 The Ocean Protection Council (OPC) is pleased to announce the release of the Final 2018 California Ocean Litter Prevention Strategy (Strategy). OPC partnered with the National Oceanic and Atmospheric Administration’s (NOAA) Marine Debris Program and worked with California stakeholders to develop the 2018 Strategy. OPC adopted the document at their April 2018 meeting. Please click here for a summary of the contents of the Strategy. For more information on the Strategy Implementation Process, please click here. 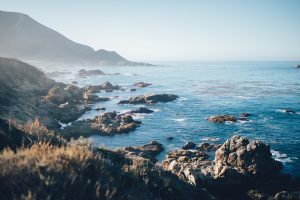 The Ocean Protection Council and the California Department of Fish and Wildlife are seeking to add California’s MPA Network to the International Union for Conservation of Nature (IUCN) Green List of Protected Areas. The Green List is a recent IUCN initiative that aims to promote effective and equitable protected areas worldwide. 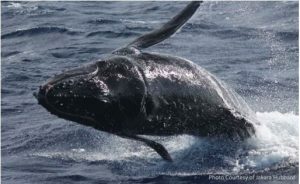 More than 20 protected areas have been added to the Green List since the launch of the program in 2014; California’s MPAs would be the first U.S. site and the first MPA network to be added to the list. More information is available here.